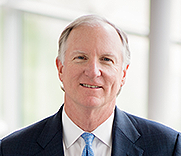 Chip Thiel is Vice President of Ascension Capital Advisors, Inc. Chip joined the company in March 2005 and has been in the financial services industry since 2001, focused primarily on wealth management and corporate retirement plans. He is responsible for the design and implementation of investment strategies and financial plans, as well as developing and maintaining client relationships. A native of Livingston, TX, Chip graduated from Texas A&M University in 2000 with a degree in Agriculture Economics. While at Texas A&M, Chip was a Senior Coordinator for Aggie Bonfire and a member of the Corps of Cadets. He attained his Certified Financial Planner® designation in March 2007, and is a member of the Financial Planning Association. Chip married his college sweetheart, Stephanie, in July 2001. They have three children: Scotlyn Rae, Tripp, and Josi. The Thiel family currently lives in Sugar Land, TX. Chip is a past president and remains active in the Fort Bend County A&M Club and is a volunteer and life member of the Houston Livestock Show and Rodeo. In his free time, Chip enjoys spending time with family and friends, cooking, and doing anything outdoors – from hunting and fishing to the occasional round of golf. Cynthia Fine is a Retirement Planning Associate for Ascension Capital Advisors, Inc. After graduating from Vanderbilt University, she received her law degree from Southern Methodist University, and has worked as an attorney in the areas of corporate, securities and real estate law. Cynthia originally joined Ascension in 2009 to assist with administration, marketing, compliance and client service. After a brief time away, she returned to the Ascension team in early 2014 to assist with our growing corporate retirement plan business. Cynthia and her husband, Richard, have three adult children, Kirby, Carter and Callie. John Lovett is an Investment Advisor Representative with Ascension Capital Advisors, Inc. With over twenty years of experience in the securities industry, John is responsible for the development of personal financial plans, the investment management of assets, and budgeting of expenditures for a client base consisting of individuals, pension plans, foundations and endowments. 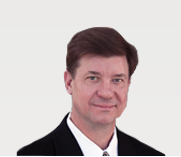 Prior to joining Ascension in September of 2012, John was a registered broker and advisor with Raymond James Financial Services for 13 years. A native of Shepherd, TX, John graduated from Texas A&M University, where he was a member of the Corps of Cadets and the Parson's Mounted Calvary, as well as a student leader for the Aggie bonfire. Among his many professional designations, he is a Certified Fund Specialist® and a Chartered Retirement Planning Counselor®. John is a life member and committeeman of the Houston Livestock Show and Rodeo, a life member of the National Rifle Association and the Texas State Rifle Association, and is an endowed member of numerous Masonic Lodges in Texas. His community involvement and service includes being an investment committee member for the Masonic Grand Lodge of Texas and for the Masonic Home & School of Texas, as well as a board member of the Shepherd Economic Development Corporation. 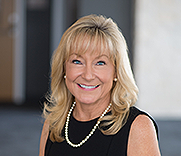 Leigh Seyffert is the Director of Office Administration and the Executive Assistant to the President for Ascension Capital Advisors, Inc. Leigh is responsible for the daily operations of business as well as assisting with all client questions and concerns. 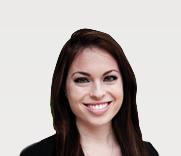 Leigh joined Ascension in May 2014 after working as a legal assistant in Wyoming. She was previously a licensed real estate agent and became the executive assistant and office manager for a boutique real estate firm in the Memorial/Spring Valley area. Leigh has a vast knowledge of document preparation, information technology and office management. Leigh grew up in Alvin, Texas and graduated from the University of Houston with a degree in Political Science. Leigh is currently a member of the Houston Junior League and believes in charity, volunteerism and the historical preservation of Houston. Marcia Miller is a Financial Planning Associate for Ascension Capital Advisors, Inc. Her primary function is the development and implementation of financial plans, research and client meeting preparation. Marcia joined Ascension in March 2011 after graduating from Texas Tech, where she earned a degree in Personal Financial Planning. Her expertise is specifically in the area of financial plan review, design and implementation. 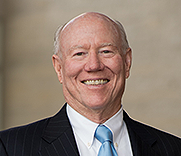 Paul B. Thompson is the Founder, President and Chief Investment Officer of Ascension Capital Advisors, Inc. Having been in the investment management business since 1983, Paul is a successful entrepreneur in the financial services industry and enjoys speaking on the topic of money management. Prior to founding Ascension Capital Advisors, Inc., in 1997, Paul worked for another local investment advisory firm and owned a Dallas-based investment advisory and brokerage firm, which was sold prior to moving back to Houston in 1991. A native Houstonian, Paul attended The Kinkaid School, Texas Christian University, and the University of Texas in Austin where he earned a B.A. degree in business and finance from the McCombs School of Business. Having grown up sailing, Paul also sailed for The University of Texas Sailing Team. Paul currently serves as a deacon at Second Baptist Church, and serves on the Board of Directors for The A.D. Players, Carolina Creek Christian Camp and “On Every Word, Inc.” Paul and his wife, Pam, have two children; Paul Jr. and Caroline, who both graduated from The University of Texas and now work in Houston. Paul Thompson, Jr is Co-Portfolio Manager and Client Advisor at Ascension Capital. He grew up in Houston where he attended Second Baptist High School before receiving a Bachelor of Arts at University of Texas and a Business Foundations Program Certificate from the McCombs School of Business. Paul began his career with Fidelity Investments in June 2011, where he provided clients with wealth management solutions specializing in investment guidance and retirement planning. During his time at Fidelity, Paul met with over 500 clients whom he consulted about their financial needs and implemented strategies to help clients reach their goals. He is a registered investment advisory representative and received his Certified Financial Planner® designation in March 2014. Paul sits on the board for Texas Center of the Missing and serves on their Emerging Leaders team. He also is a volunteer for Houston Livestock Show and Rodeo as well as Yellowstone Academy. In addition, Paul is an active member of Second Baptist Church where he serves as an associate deacon and teaches a Bible Study Sunday mornings for young adults. In his spare time, Paul enjoys spending time with family and friends and doing volunteer work. He also enjoys doing anything outside whether it’s playing golf, running or sailing. Paul is also an avid reader and movie goer. 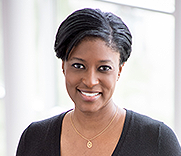 Ruth Shoulders is the Director of Client Services & Operations for Ascension Capital Advisors, Inc. Her primary job responsibility is to make sure that all clients’ administrative needs are handled promptly and proficiently. Whether it’s processing a check request, handling 1099/tax request or verifying that required minimal distributions are met from your IRA, Ruth is capable of handling it. She joined Ascension in April 2011, but has worked in the financial services industry since 2003, focusing primarily on estate planning and asset protection. Before pursuing a career in finance, Ruth worked in the tax accounting field for 5 years. 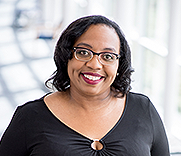 A 1998 graduate of the University of St. Thomas, Ruth earned a Bachelor’s of Business Administration degree with a minor in economics. For over 23 years, David has provided a wide range of advisory services for his investment management clients. After completing his graduate business studies in 1973 at the University of Texas in Austin, he moved to Houston and began a 20 year career practicing as a CPA; the last eight years (1985-1993) were in the capacity of tax partner with Ernst & Young and its predecessor firm, E&W. Prior to entering the investment advisory business in July 1993, David devoted much of his career to advising families and entrepreneurs concerning a wide range of strategic wealth and estate and income tax planning opportunities. David has continued to devise customized investment strategies for clients addressing their unique financial objectives. He founded Sage Harbor Advisors, an independent fee-based registered investment advisory firm, in 1997. Through David's leadership, the firm became known as a "high touch" wealth management firm. Effective July 1, 2016, Sage Harbor and Ascension Capital Advisors, Inc. client service and investment management teams joined forces. 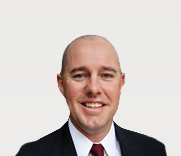 Jordan Mathews is Co-Portfolio Manager and Director of Research at Ascension Capital Advisors, Inc. 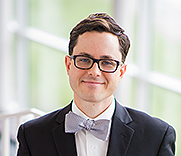 He grew up in Houston and graduated from the University of Texas in Austin in 2004 with a BS in Mathematics, with emphasis on Statistics, Probability, and Data Analysis. He has eleven years' experience developing and implementing risk-managed strategies, including thematic long/short global macro investing and strategies dedicated to emerging markets. 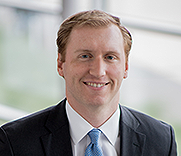 Prior to joining Ascension in 2016, Jordan honed his research and analytic skills at several other Texas-based registered investment advisory firms. His commitment to risk management became deeply ingrained during the financial crisis of 2008, as he witnessed the destructive effects of the equity market collapse which reinforced the importance of risk management in protecting the value of the accounts he was managing. Jordan's roles include monitoring current and prospective investments for risk-managed proprietary investment models and creating trade files to uniformly apply model allocations across client accounts. He currently serves on the investment committee of a local charitable foundation. Shonnie is primarily responsible for the administration of client service in its many forms, and support of the firm's daily operations. 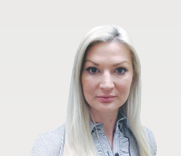 She recognizes that each of our clients are unique in their perspectives and expectations, and she understands how to address an individual client's needs effectively and efficiently. Shonnie takes pride in understanding any circumstances which a client may bring that require special attention. By gaining this insight, she can assist the entire ACA team in delivering a valuable, consistent, and relevant experience for all those we serve. She began her career in financial services with AIG VALIC's North Houston Client Care Center in 1999 and moved on to become an investment representative for AIG VALIC Financial Services. In addition to financial services, her background includes executive administration, accounting, sales, and retail management. Shonnie grew up in Spring, Texas. She attended the University of Houston beginning in 1988 as a Communications and Political Science major with a Concentration in Corporate Studies. She is a certified paralegal with an Associates of Applied Science in Paralegal Studies from Bryant & Stratton College.